Will Wavegarden Cove Revolutionize Sport of Surfing? Will the Wavegarden Cove Revolutionize the Sport of Surfing? After months of rumors and speculation in the media, Wavegarden has finally announced their latest technology – the Wavegarden Cove. Imagine a surf spot far from the ocean, with a variety of amazing “peaks” where surfers can safely catch as many waves as they can handle. This vision is now a reality thanks to the Cove, a new generation surf facility which generates up to 1000 high-quality waves per hour, from mellow knee-high rides to powerful barrels reaching up to 2.4m. In October 2016 the Wavegarden team built a demo model at their R&D center in Spain that measures 50m x 80m (164′ x 262′), proving that it’s possible to make a great surf spot in a small space. The Cove is designed to be economically profitable as a stand-alone facility, and can be up-scaled to produce left and right hand waves of just about any height and length. The length of ride invariably depends on the Cove’s dimensions, but on average the wave-riding experience lasts between 15 and 20 seconds, which is considerably longer than at most popular ocean breaks. Much longer rides are possible in larger facilities. Waves are formed in 4 areas within the Wavegarden Cove. Each area offers waves of different size and power, specifically designed to provide every surfer with a unique wave riding experience. 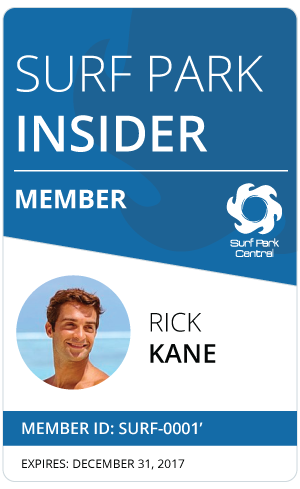 In a standard design, the surfing areas include 2 Reef and 2 Bay areas. This wide variety of high frequency waves in the different surfing areas makes the Cove ideal for learning, as well as for high performance surfing and coaching. The machinery of the Wavegarden Cove is modular, eschewing complicated hydraulic or pneumatic systems in favor of a smart and simple electro-mechanical design. Consequently, very little energy is lost in the transmission of forces, which keeps running costs at a minimum and makes the Cove the most energy-efficient technology on the market today. With two Wavegarden facilities already open to the public (Surf Snowdonia in Wales and NLand in Texas) and with the construction of Cove projects starting soon in Melbourne, Sydney, Perth, Barcelona, Madrid, Costa del Sol, Edinburgh, Bristol, London, New York, Miami, Santiago and Marrakesh, this evolution epitomizes the Wavegarden ideology of sharing the exhilarating experience of surfing perfect waves with everyone, everywhere.